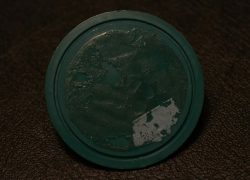 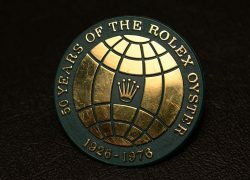 Item description: Rolex green plastic seal with relief golden sphere with crown to centre. 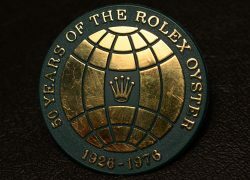 Relief wording to border, ’50 YEARS OF THE ROLEX OYSTER 1926 – 1976′. 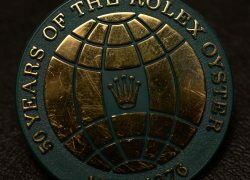 Special notes: Used for shop display, and also fitted to Rolex boxes during 1976 only.